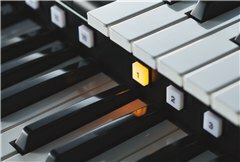 The ELC-02 contains a comprehensive library of 986 preset Voices that allows you to find the sound that you want to play. Super Articulation Voices have been included which realistically reproduce the unique characteristic techniques used in playing wind, string, and other instruments. 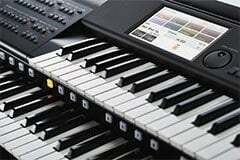 There is also a wide range of organ Voices available for performing everything from jazz to classical pieces. In addition to presets, you can enjoy editing Voices to suit your own preferences. *Super Articulation Voices cannot be edited. Discover 634 diverse rhythm presets suitable for a wide range of music genres. Choose an existing rhythm that matches the tune you want to play, or edit a rhythm to suit your music. 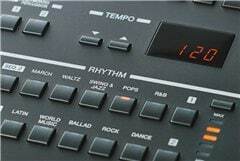 You can even build your own rhythms from scratch, creating unique performances with a beat that's all you. *Some patterns cannot be edited. 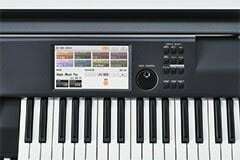 Registrations are preset combinations of Voices and rhythms. Press the registration memory button to instantly call-up a registration whenever you want. The ELC-02 features a rich menu of 506 different presets sorted by music genre, allowing you to play the songs you want immediately. You can also save your own registrations to USB flash memory. 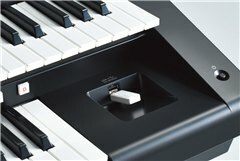 The ELC-02 comes with both Initial Touch, which varies tonal expression and the dynamics of the sound according to the force with which the key is pressed, and After Touch, which allows sound timbre, volume, and pitch to be varied after the key is pressed. 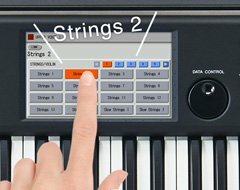 This lets you achieve nuanced musical expression with just the tips of your fingers. 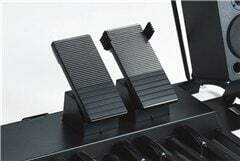 Use the pedals to apply expressive effects like guitar bending and saxophone bends to your performance. A large 7-inch LCD panel provides easy viewing of options. 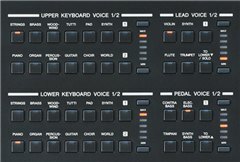 This allows simple, stress-free operations, so you can select and control Voices, effects, rhythms, and even edit, all through the intuitive touch panel. You can save your performance as an audio file (.wav) directly to USB memory. Enjoying listening to your playing on a portable music player or share it by sending it to friends! 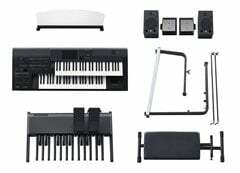 The main keyboard unit, pedal unit, stand, speakers, and bench can all be separated for easy portability. The bench even folds into a flat and compact form. Set-up and perform anywhere you want with ease.